As you may know by now, Macchialina, one of the best restaurants in town, recently obtained a full liquor license. And they're allowing someone to take the bar over once a month. 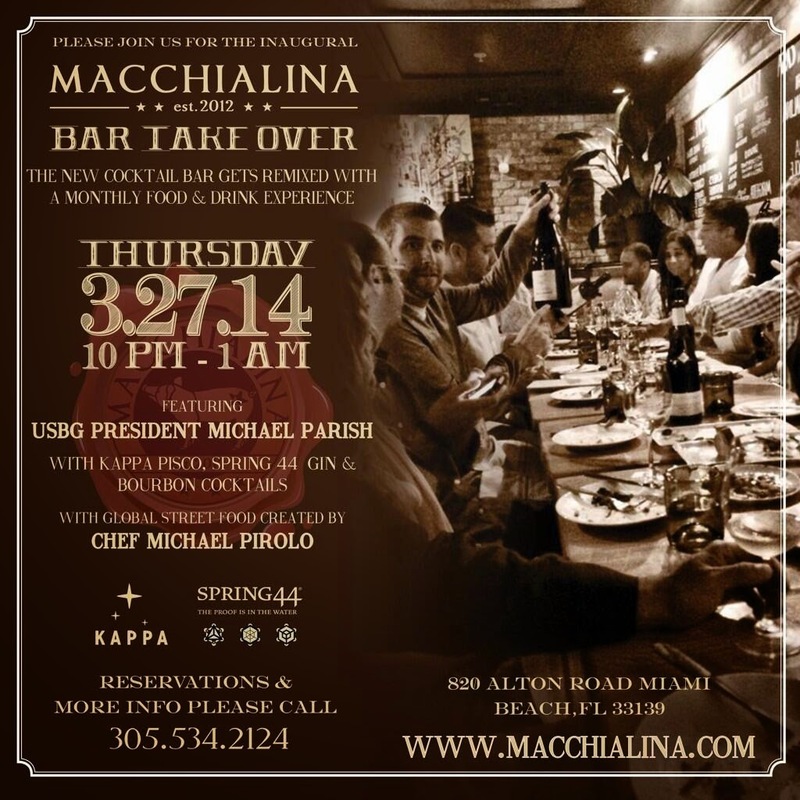 First up, USBG President Michael Parrish who will be serving Kappa Pisco, Spring 44 Gin and bourbon cocktails on March 27th from 10PM to 1AM. Go hungry because Chef Michael Pirolo is going to be serving global street food. This sounds like a great concept and a fun night.